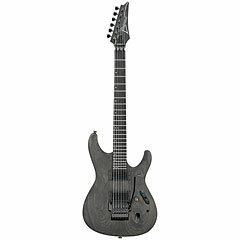 The Ibanez PWM10 is the signature model from Paul Wagoner. The guitar is based on the guitars of the S series, here with a 4 cm thick body made of strongly grained ash. The pickups, two Hornet units from the American manufacturer Mojotone are used.